Published on April 5, 2013 in Australian News, General, News and Research. 0 Comments Tags: affordable insurance, breakdown cover, Budget Direct Car Insurance, Car Insurance, compare car insurance, courtesy car, fully comprehensive, Insurance, insurance policy, insurance premiums, mileage, renew policy, third party, voluntary excess, windshield cover. Let’s cut to the chase; buying car insurance can be confusing. Whether you’re a new driver looking to buy it for the first time, or you’re an experienced driver looking to renew your policy, all you want to do is find the right policy that will give you enough confidence that you’ve got the cover you need, at a price you can afford. 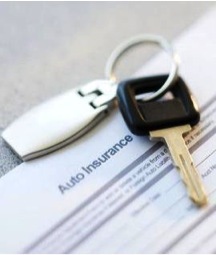 But, with so many insurance policies around, how do you know that the car insurance you’ve found is right for you? Well, you’re not alone; because year after year, thousands of Australians are left unsure whether they’ve actually got the right car insurance or not. Whether you’re looking to buy the latest fashions or the latest technologies, everyone knows that the best way to get the best deal on any product or service, is to shop around – and this should be no different when it comes to buying car insurance. But, one of the best things about shopping around for insurance is that it also allows you to talk to more people. Now, I know what you’re thinking; “I don’t want to talk to more people, I just want to buy car insurance!” Well, hear me out – because if you take time to shop around for it, it will not only help you to find out about the different kinds of policies and prices out there, but it will also help you to find out more about what everything means. Mystifying phrases like ‘voluntary excess’, ‘fully comprehensive’ or ‘third-party-only’ start to become less of a concern as you figure out what they mean, how they affect your safety and yes, what they cost. When you think about it, car insurance is a pretty simple process; if you’re a young driver with a fast car and not much experience, it’s going to be more expensive than your dad who has been driving his Ute for years. But, there are lots of things you can do to bring the dollars down, and most of it is commonsense – when you see it from the insurer’s position. Like increasing your voluntary excess, for example. Voluntary excess is the amount you as the driver must contribute to the repairs or damages if you get a bump. Currently, most insurance companies set a fairly standard amount, but if you can afford to pay more, then upping the amount that you agree to pay yourself if you do have an accident will lower the risk on the insurer – lowering your premiums as a result. Second, think hard about how much mileage you’re going to do in a year. If you’re never going on a long roadie from Sydney to the Gold Coast, don’t include that kind of mileage in your yearly assessment – the fewer miles you drive, the lighter it is on your bank account. Next, always garage your car or try and make sure you keep it in a secure location. Being locked up in a garage means you lock down fewer premiums, and if your car also has an alarm or tracking system (car electronics), these will also be useful for helping to lower your payments. Fourth, steer away from motors that have super tuned engines, exotic modifications and any other items that may be expensive for the insurer to replace. Last, pay in one go – saving monthly interest can mean significant reductions and you may find you get one or two months off for a lump sum up front. The cheapest policy is not always the cheapest in the long run – or even the short run for that matter. Look for things like how much legal cover is provided, and find out about breakdown cover and whether it is provided or not. Also ask questions such as “will I be offered a courtesy car if I do break down?” – because having one will certainly help to make your life easier in the unfortunate event that you’re left without your car for a few days. Also, make sure you think about things like windshield cover. With some companies it’s a free replacement, while others may ask you to pay a portion up front. And last but not least, never be afraid to ask simple, silly questions when looking to buy insurance. There are so many companies out there, such as Budget Direct Car Insurance Australia who will be more than happy to help you with any questions – big or small – that you might have. At the end of the day, the more you ask, the more you will know, which will all help to ultimately get the right policy – for you. Lara Anderson, an experienced freelance writer, wrote this article. Lara specialises in providing useful and engaging lifestyle advice for others.